An Author's Blog about Stuff!!! Hey there! Thanks for dropping by Stephen C. Ormsby! Take a look around and grab the RSS feed to stay updated. See you around! 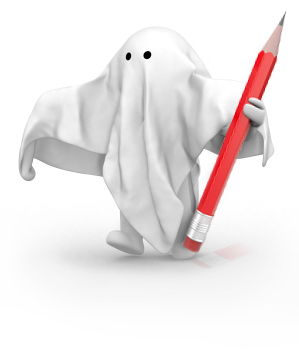 I am a ghost writer, and this is a very interesting job for a freelance professional writer. I started out freelancing in 1980, working mostly as a home health care aide for the disabled as my day job, and this gave me some material to write about in the Seattle area. As of 2003, I began a ghost writing and editing business on the Internet under the name Rainbow Writing, Inc., which I changed to Ghost Writer, Inc. in 2011. Nowadays I’m semi-retired, and I send out work to my team of ghost writers, editors, marketers and promoters of books, screenplays and other written works. So I’m kept pretty busy by my job, sometimes as a ghost writer for certain projects, sometimes as a ghost writing service for the bulk of my writing projects. It’s a bit like being Sherlock Holmes – I only need to take on the “interesting cases” that come in. My role is usually that of an overseer or go-between when it comes to sending out work to my players/ghost writers, but I have to call on all my skills gained over the years when it comes to ghost writing and editing, whether it’s me or someone else who is doing the jobs for our incoming ghost writer clients. No More Author Interviews here! Long Lost Song – Out Now!! 85451 / 80000 words. 107% done! 1000 / 50000 words. 2% done!